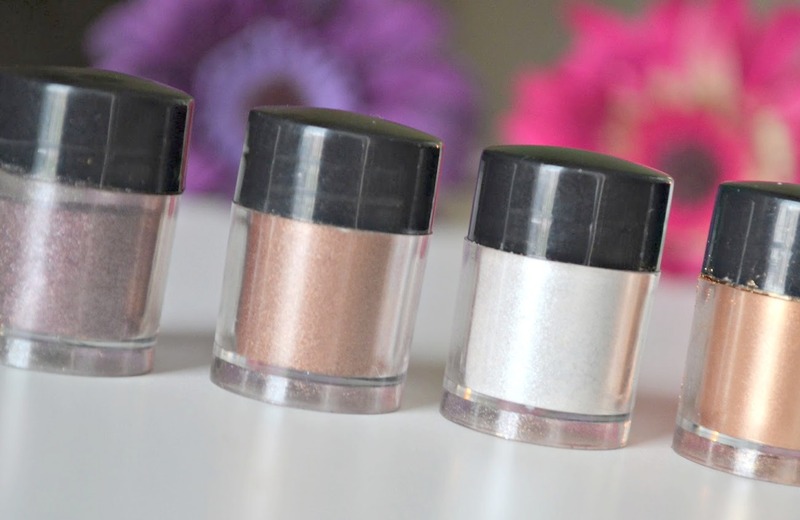 Even though they can be messy and time consuming, there's definitely a place in my heart when it comes to sparkly little pigment pots! I came across this set of fourteen neutrals on eBay and thought I'd give them a go, I'm so glad I did because they're amazingly pretty. 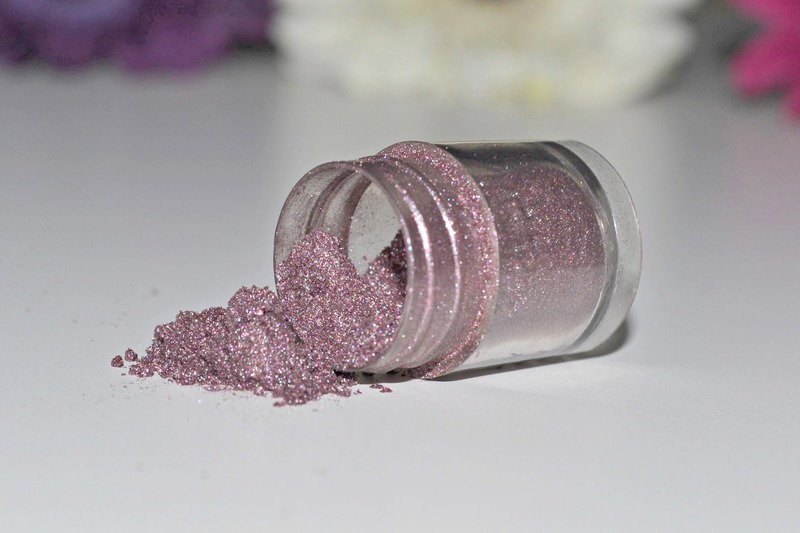 You can create entire eye looks using just these pigments, or just apply a bit over your regular eyeshadow for some extra sparkle; for extra intensity they can even be applied with a damp brush. 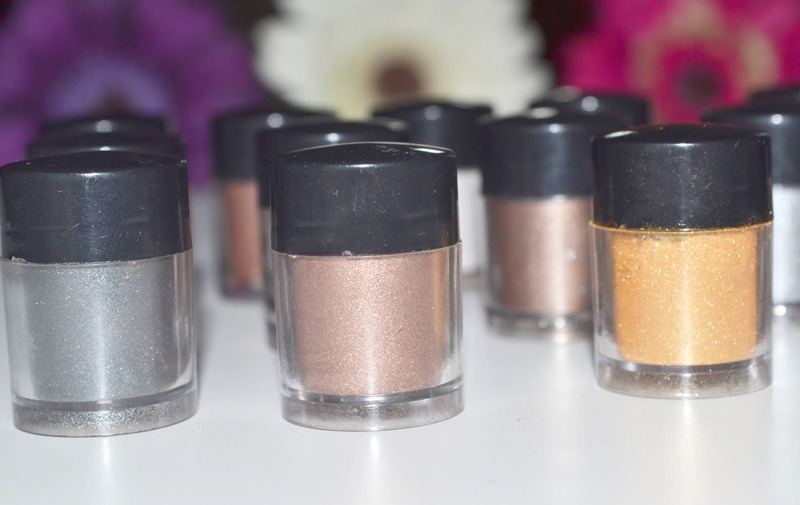 The range between lights and darks, neutrals and smokey colours make this set a good all rounder- I never use bright eyeshadows anyway so these are just about all the colours I'd ever need. Although using pigments always comes with the extra time consuming step of cleaning up glitter that's fallen down onto your face, I think the look that they give is well worth it. As with any pigment I'd recommend using a primer for longevity and also doing your eye makeup first when using these- this gives you the chance to clean up any fallout with a makeup wipe before moving onto your foundation. They're definitely not products I reach for day to day when I'm doing my eyeshadow, and instead use them if I know I have a bit of extra time to get ready. The gorgeous sparkly finish and intense pigmentation make them perfect for nights out . I'll happily repurchase these when they run out, they're really inexpensive and I think they're lovely shadows to have in your collection. The pots are teeny, but because you only need to use a small amount to build up an intense colour they'll last for absolutely ages. 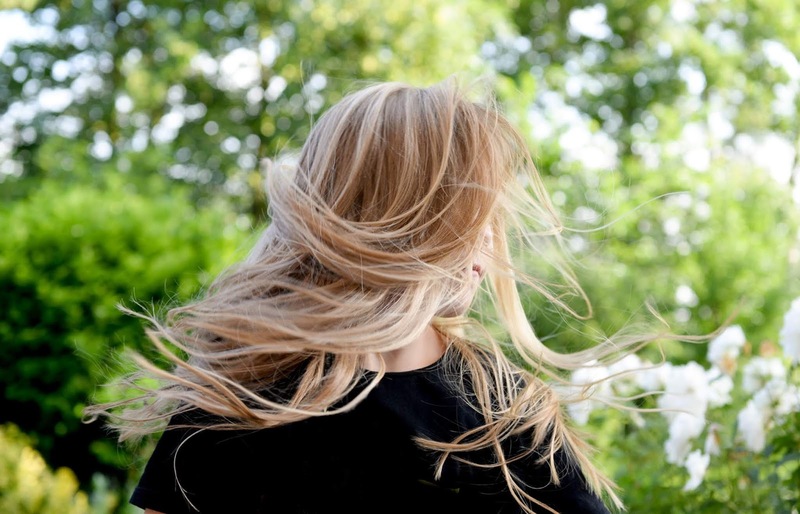 I think these are definitely worth the extra bit of time if you are looking to create a dramatic look! I used to be wary of buying unbranded cosmetics from eBay, but I've tried quite a few different products now and all of them have performed really well. The only problem is because they're shipped from Hong Kong they do take three weeks to a month to arrive, but if you're not in too much of a hurry for them it's not a problem. Have you ever spotted these on eBay? I love shimmery shadows on an evening out! Nothing like adding a little accessories or some sparkling eye shadow to really make yourself noticed in the dark!